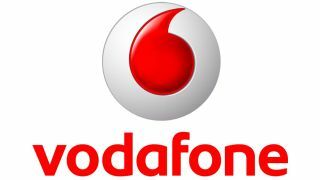 Which is the best Vodafone phone? If you wanted to take a test drive, we'd recommend getting down to your local car showroom. If you wanted free bees, similarly we'd say get down to your local honey farm. Or you could go speak to Vodafone. We've not lost the plot, we promise. Test Drive is the network's way of optimising your monthly plan to suit you. This comprises three months unlimited data use, with the goal being to guide you towards the most suitable plan thereafter. Free bees are, guess what, not what they appear. It's a play on words. Who'd have thought? The idea being that PAYG customers gain freebies with every top up. Top ups come with a 30 day reward, from international calling to texting, internet and calling packages. The size of the reward is linked to the value of the top up. On top of this comes more "Rewardz", in the form of "Instant Rewardz" or "Pointz". In a bit of a Ronseal moment, these do exactly what they say on the metaphorical tin. Every top up comes with a texted code, which you can cash in for DVD rentals, sweets or flowers, or points that can be collected to turn into something bigger, from iPods to bowling trips. For all customers, Vodafone VIP and Vodafone Sure Signal are available too. VIP brings pre-sale tickets to a variety of events from fashion shows to F1 and festivals. Sure Signal, on the other hand, brings a guaranteed 3G signal to your home via your internet connection. To make the most of all this, you'll probably want a top notch phone, so what handsets do Vodafone offer? Replacing a phone that could be on this list, the Samsung Galaxy S2, comes Samsung's latest flagship Galaxy smartphone. We can't speak highly enough of the Samsung Galaxy S3, since it brings a superb Super AMOLED HD screen, NFC, 8MP Full HD recording camera and a "blazingly-fast" 1.4GHz quad-core processor. Unsurprisingly it comes with Android 4.0 Ice Cream Sandwich, but Android 4.1 Jelly Bean is looking very likely. We didn't expect the Huawei Ascend G300 to set the world alight, but we were really surprised with just how much technology Huawei manages to pack in to the handset. Wrapped in smart bodywork comes a 1GHz processor that can run Flash, and a 5MP camera. For a phone retailing at under £100, these are both features that are often overlooked. Currently running Android 2.3.6, this will soon be upgraded to Android 4.0 Ice Cream Sandwich. Smartphones are made or broken depending on the number and quality of its apps, something Apple has in abundance through its strictly controlled iTunes store. That said, they need to be displayed properly, which is where the iPhone 4S's excellent Retina display comes in. Apple also uses its own dual-core processing chip to make sure it all runs smoothly, and the 8MP camera is the device to show how simple camera phone should be. Touchscreen phones aren't for everyone, so continuing in true BlackBerry style is the Bold 9900 with an excellent keyboard - although it's touchscreen too. Unlike some previous devices, the screen is responsive and shows off OS7 well and in very high resolution too. Behind all that comes NFC technology and a fast processor so it will still be going strong at the end of your contract. Looking at it, you can tell the LG Optimus 4X HD is a smartphone. LG might not have the reputation of the likes of Samsung or HTC when it comes to producing high-end devices. As the name suggests, the LG Optimus 4X HD comes with a quad-core 1.5GHz Nvidia Tegra 3 chip, 8MP camera, NFC and the impressive Android 4.0 Ice Cream Sandwich to hold it all together.